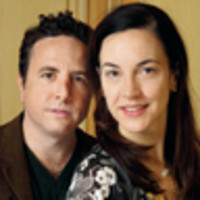 Writers and astrologers Stella Starsky and Quinn Cox are the internationally bestselling authors of Sextrology and Cosmic Coupling and have contributed to Paris Vogue, Allure, Elle, and Style.com. They are metaphysical consultants in private practice. Their live musical-comedy act of starry wit and social commentary is regularly staged at venerable venues like Joe’s Pub at the Public Theater in New York.